I really enjoy meeting people in the radio business. I have met so many wonderful and interesting people in my travels. I have included a Special Report on Daniels Electronics. I was with them on Monday, and presented my one-day seminar on paging. I hope they all enjoyed it as much as I did—I had a very good time. They have a great group of people working there as well as a very impressive factory and engineering lab. I would have loved to spend several days "tinkering" in their lab with some of the sophisticated test equipment that I saw there. 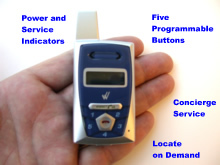 I suspect that many of you don't realize that they have a paging transmitter in their product lineup. 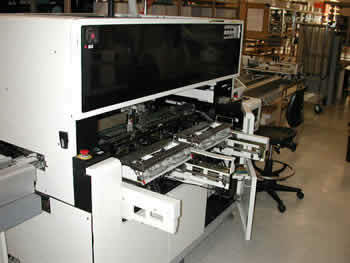 It can do analog paging as well as 2-level and 4-level digital paging. Check them out, and be sure to say "Brad sent me." I am sorry that I didn't get any photos at IE Communications. I will do better next time. I may go back for another visit next week. Don't miss the two FCC news items about half-way down in the newsletter. And one of my other favorite topics, VoIP using Skype—now going wireless! There is no charge for subscription and there are no membership restrictions. Readers are a very select group of wireless industry professionals, and include the senior managers of many of the world's major paging and wireless data companies. There is an even mix of operations managers, marketing people, and engineers, so I try to include items of interest to all three groups. It's all about staying up-to-date with business trends and technology. I regularly get reader's comments, so this newsletter has become a community forum for the paging, and wireless data communities. You are welcome to contribute your ideas and opinions. Unless otherwise requested, all correspondence addressed to me is subject to publication in the newsletter and on my website. A fake e-mail that purports to be from the U.S. Federal Bureau of Investigation (FBI) is circulating on the Internet with a Windows computer virus as its payload. In an announcement Tuesday, the FBI warned that the fake unsolicited e-mail tells users that "their Internet use has been monitored by the FBI's Internet Fraud Complaint Center and that they have accessed illegal Web sites." The bogus message then asks recipients to click on an attachment and answer some questions about their alleged illegal Internet use. But rather than being a questionnaire, the attachment contains a Windows virus that infects the recipient's computer, according to the agency. It was not immediately clear what the virus does once it has infected a computer. Paul Bresson, an FBI spokesman, Wednesday said that the agency discovered the fake e-mail over the weekend after several recipients of the messages notified the FBI. Bresson said he didn't know exactly how many complaints were received. The latest scam appears to be the first time a virus has been distributed through an e-mail allegedly from the FBI, he said. A previous scheme involved e-mails that lured recipients to a fake Web site that looked like the FBI's official site, then asked recipients to enter their credit card number and personal information to determine if their card was one that recently had been stolen. The latest message has multiple misspellings and is written in broken English, Bresson said. "The wording is very poor, which helps us," he said. "We're hoping that that flags people that this is not legitimate." The message warns recipients that their Internet use continues to be watched and that the alleged illegal activity should be halted. "If there will be anover (sic) attemption (sic) you will be busted," the message states. Bresson did not know if any victims of the scam have provided their credit card numbers or other information. The FBI said it never sends official unsolicited e-mails to citizens for any reason and that any messages purporting to be from the agency should be ignored. Recipients can also report them to the FBI's Internet Crime Complaint Center. Pete Lindstrom, a security analyst at Spire Security LLC in Malvern, Pa., said fake e-mail messages will continue to be a problem until tighter standards for sending e-mails are adopted by senders and recipients. "The way we use e-mail today, anyone can impersonate anyone else," he said. To stop that, users need to consider using trust certificates for all mail, so recipients know that an incoming message is from a trusted sender. "Folks are going to have to rethink how easy this is (to send and receive mail today), which made it very functional in the past," Lindstrom said, noting that the technical know-how to make mail more secure is already here. "It becomes more of a question of willingness to do it," he said. FEB. 25 10:33 A.M. ET MCI Inc., the telecommunications company that is the target of two competing acquisition bids, swung to a loss of $32 million in the fourth quarter of 2004, but reported an operating profit. Its revenue fell and it forecast more declines in 2005. MCI chief executive Michael Capellas told analysts and investors Friday in a conference call that the MCI board had concluded in accepting a buyout offer from Verizon Communications Inc. despite a higher offer from Qwest Communications International Inc. that Verizon "is the right partner . . . to deliver long-term shareholder value." Iridium Satellite announced that it had more than 114,000 subscribers as of December 31, 2004, a 22.5% increase over its total number of subscribers at the end of 2003. The company's revenue for the full-year 2004 increased by 23.2% over total revenue for the prior year. In the general aviation market, the company surpassed a milestone in October of 2,500 aircraft using Iridium-based equipment—roughly double the number equipped in 2003. 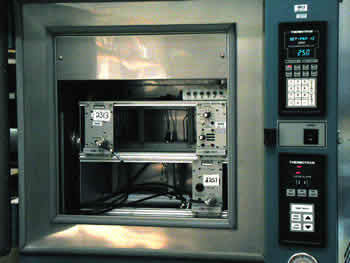 In the maritime industry, Iridium announced four significant agreements in 2004 resulting in more than 300 ships being equipped with Iridium satellite terminals. In the defense/government sector, the U.S. Department of Defense (DoD) exercised an option to extend its contract for airtime on the Iridium network for mobile voice, data and paging services. The U.S. government relies on the Iridium network for many applications, including command and control, logistics and tracking systems, battlefield and weather condition data transmission, remote unattended sensor programs and man-pack soldier systems. 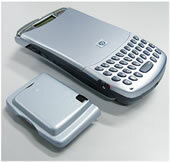 In 2005, Iridium plans to complete the development of a new netted push-to-talk communications architecture. This architecture will provide an efficient broadcast service within a designated region for military, homeland security and commercial applications requiring netted voice and data communications. 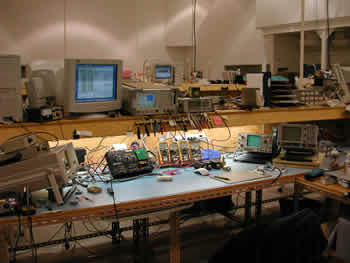 Iridium expects to make this innovative service available in Q4 2005. One-way messaging (paging) subscriber churn declined year-over-year to 3.27%, while one-way messaging ARPU increased by 11.9%, reflecting pricing changes implemented in earlier quarters. With 196,100 paging subscribers, we continue to view paging as a profitable but mature business segment, and recognize that churn will likely continue at relatively high rates as one-way messaging subscribers increasingly migrate to two-way messaging and converged voice and data services. Motorola will enter emerging markets with ultra low-cost mobile phones aimed at three billion consumers who cannot yet afford to make wireless calls, the US-based handset maker said on Monday. The phones will be available for less than $40 and the company aims to sell six million units in the six months from April to September, said the GSM Association. The GSM Association led a tender among 18 mobile phone makers fighting for the order from a group of mobile operators in emerging countries, including Singtel, Smart, Telenor and Globe. The GSM Association is an interest group of mobile carriers which operate a GSM mobile network. Two-thirds of the world's 1.7 billion mobile phone service subscribers make calls on GMS. "Some 80 per cent of the world's population has mobile phone coverage, but only 25 per cent have a mobile phone. That is three billion people who have coverage but cannot afford mobile communications," said project manager of the emerging market handset programme at the GSM Association, Ben Soppitt. The cheapest phones today sell for around $50, but they are typically offered in limited volumes and include mostly old models. Mobile operators need a more steady supply of less expensive phones to address potential market demand. Motorola is not known for its focus on low-price phones, an area that Nokia and Siemens dominate. The chief executive of Motorola's handset division, Ron Garriques, told Reuters in an interview that he started planning to produce mobile phones cheaper than $50 some two and a half years ago. He aims to dip below $30 per handset some time by 2006, "while achieving industry average (profit) returns". Analysts said the price breakthrough would send a shockwave through the industry, which has suffered from fierce price competition and falling profit margins in recent quarters. "By promising sub-$40 phones, Motorola have put a peg in the ground that everyone else will have to beat. This is going to take mobile phone pricing to new low levels. It could put some players out of business," said analyst Ben Wood at research group Gartner. A second tender for the period after September will start later this year. The six million phones that Motorola will produce represent almost one per cent of the total market in 2004, when 684 million phones were sold around the world. Motorola will continue to compete for orders. 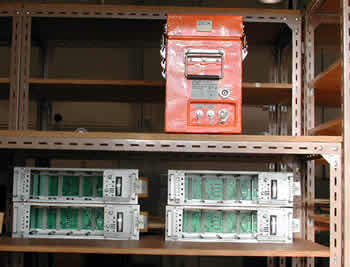 "We have a long history in paging and walkie talkies, which are produced in very high volumes at low cost. We leverage a lot of what we learned there in this business," Garriques said. "If you want to be in this (mobile phone) game for the long term, you have to play in the low, the mid and the high end," Garriques said. Under new chief executive Ed Zander, Motorola turned around its handset operations last year. It raised its global market share to 15.3 per cent, from 14.5 per cent, and more than tripled operating profit after introducing popular new models that it could make in sufficient quantities -- putting behind it a series of logistics and manufacturing problems. The project to create cheap phones for emerging markets was initiated at last year's 3GSM conference to address a major issue among operators in emerging markets that was holding back market development. "Even a $50 phone can be a huge chunk of disposable income in emerging markets, and it's an upfront cost," Soppitt said. Motorola was selected because it was prepared to build a serious and long-term business around phones priced below $50. "Operators told us Motorola showed clear strategic intent in the ultra low-cost segment, and offered a brand, a global reach and a commercial framework that was market-beating," Soppitt said. Motorola's phone will be part of the C11x series of phones. Through the convergence of Global Positioning System (GPS) and digital wireless technology—along with Wherify's patented location technologies—the GPS Locator Phone offers parents, family members and business people peace of mind knowing they can locate loved ones or valuable property, 24-hours a day, seven days a week. 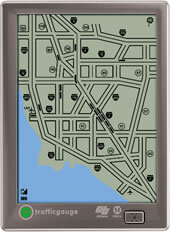 The slim, small and lightweight GPS Locator Phone can fit almost anywhere . . . from a backpack to a purse to a coat pocket to the family car. Whether at work, home or traveling simply use the Internet or any phone to quickly identify the location of the device within feet, in about a minute. In the event of an emergency use the 911-response feature and local police will be dispatched. The GPS Locator Phone also gives the person carrying it a new level of security knowing they can also request an emergency response at the touch of a button. And because it uses the same tested and proven technology as the Wherify GPS Locator for Kids, the GPS Locator Phone is a safety solution that families and businesses can rely on. PALO ALTO, Calif.—(BUSINESS WIRE)—Feb. 14, 2005—Frost & Sullivan selected Diabetech as the recipient of the 2004 Frost & Sullivan Patient Monitoring Niche Competitor of the Year Award for its technology innovation and excellence. Diabetech's GlucoMON® is improving the quality of life for people with diabetes (especially children) and their remote caregivers through its real-time notification feature and intelligent clinical management software. Within seconds of a blood glucose test being performed, Diabetech's wireless GlucoMON device sends the data via wireless networks to its GlucoDYNAMIX managed electronic patient record. The system automatically updates the patient record, analyzes the data and takes action based on the patient's profile including automatically transmitting alerts, reminders and reports to the appropriate member(s) of the team. Of particular benefit in cases of the most serious complications from the disease, the Diabetech solution is being used in clinical studies as a remote patient monitoring tool for preventing hospitalization and improving patient and provider outcomes. "Diabetech's GlucoMON employs a proprietary wireless device attached to the patient's glucose meter," says Frost & Sullivan Industry Analyst Vivek Subramany. "The system automatically alerts caregivers to their own provider-defined patient specific high risk situations via cell phone, email or fax anywhere in the world. The GlucoMON device operates in the United States today with plans for global expansion in the months to come." GlucoMON is more user-friendly and portable than other glucose monitoring devices in the market. This is because the computing module within the system, although miniscule, offers long-range data transmission capabilities, making it the only long-distance wireless glucose data system in the United States. Since there is no need for dial-up connection, data transmission is fast and secure. An important reason for the popularity of this device is that it does not add to the already tiresome routine of blood glucose monitoring. This Frost & Sullivan award is presented each year to a medium-sized company that has successfully offered a focused product line within a limited number of patient monitoring segments. The award also recognizes the company's technical superiority and sound entrepreneurial ability to ensure success in meeting customer demand. "GlucoMON offers diabetic patients greater independence in the management of their condition as it provides a support network for the families of the patients by facilitating timely intervention when required," notes Subramany. "In accordance with its stated business objectives, Diabetech intends to continue growing and developing new products that will improve the lives of diabetics." Based in Dallas, Texas, Diabetech has established itself as an innovative catalyst in the diabetes care market, helping improve the lives of people with diabetes in general, and children with type 1 diabetes in particular. The inspiration behind the GlucoDYNAMIX diabetes care management system came from Diabetech's CEO's family's personal experience managing his youngest daughter's diabetes. The parents' frustration with the lack of innovative diabetes communication systems led to a desire to create a solution that would offer a simpler and more effective solution for diabetes self-management. This resulted in the formation of Diabetech. Today, Diabetech has come a very long way in its objective to help all those who suffer from diabetes, including children, who remain their primary focus. Frost & Sullivan, a global growth consulting company founded in 1961, partners with clients to create value through innovative growth strategies. The foundation of this partnership approach is our Growth Partnership Services platform, whereby we provide industry research, marketing strategies, consulting, and training to our clients to help grow their business. A key benefit that Frost & Sullivan brings to its clients is a global perspective on a broad range of industries, markets, technologies, econometrics, and demographics. With a client list that includes Global 1000 companies, emerging companies, as well as the investment community, Frost & Sullivan has evolved into one of the premier growth consulting companies in the world. Unlike other similar products on the market, Payment Guardian™ requires no keypads or input devices, eliminating the hassle of having to generate codes and giving those codes to the customer each and every payment cycle. With Payment Guardian?, lenders no longer have to rely on customers to enter codes into a keypad correctly. With Payment Guardian, only non paying customers require use of the system. Once the system has been activated in the customer’s vehicle—each time the ignition is turned to the OFF position, Payment Guardian reminds the customer that payment has not yet been received or insurance is not current and provides them with specific instructions to contact the leinholder immediately. If the reminder is ignored, you can simply activate Payment Guardian’s Starter Interrupt feature allowing no one to start the vehicle until the system is reset. President Terry Daniels joined the family business in 1959. In 1963, in partnership with his recently graduated brother, Ronald, moved the family business to Victoria's James Bay area, near its present location. The two brothers established a full marine electronics marketing outlet and radiotelephone manufacturing operation. The company originally produced a product line, mainly for the commercial fishing industry, of A.M. marine radiotelephones and later, high frequency single sideband radiotelephones, which Terry marketed throughout Canada and South America. Past Director of Electronics Manufacturers' Association of B.C. In 2003, Terry Daniels was honored by the Board of Directors of The Radio Club of America by being elected to the grade of Fellow in the club. Vice President and Chief Operating Officer Robert Small has over 25 years of electronics and radio industry experience. In his role as Vice President and Chief Operations Officer he directs the day-to-day operations of Daniels Electronics Ltd., providing strategic direction to all departments. He supports pivotal processes within the company, from new technology development, tracking emerging markets, and high-level contract negotiations to leverage company interests. Robert fosters key customer relationships with government as well as private business, providing a solid customer base that allows stability and innovation within the company. Robert also develops relationships with other manufacturers to maximize Daniels’ flexibility and opportunity. Director of Sales Doug has been with Daniels since 1990. During that time he has held a variety of different roles ranging from RF designer through to sales and marketing manager and now is the Director of Sales. Doug has overall responsibility for Daniels sales activity worldwide and manages a team of sales professionals managing our relationships with existing customers in North America as well as opening new markets globally. Doug has a Bachelor of Electrical Engineering from the University of Victoria and in his spare time he pursues his interest in Amateur Radio. Our mobile data equipment includes a range of intelligent Mobile Data Terminals (MDTs) which may be interfaced to a variety of wireless networks including GPRS & CDMA cellular. Automatic Vehicle Location (AVL) and GPS solutions, Dispatch & Messaging software. We offer mobile communications dealers and systems integrators a “fast to market” job dispatch and job management capability with the inbuilt job processing system which may be interfaced to a variety of CAD & JMS platforms. This section deleted per advertiser's request. Our industry must move forward together or we will perish individually. Washington, D.C.—The Federal Communications Commission today took steps toward replacing the outmoded system of intercarrier payments in the telecommunications industry with a uniform regime suited for competitive markets and new technologies. The current system relies on per-minute intercarrier payments that distinguish between different types of carriers and services, such as local and long-distance, or wireless and wireline, even though these distinctions often have no bearing on the cost of providing service. Furthermore, new technologies, such as Internet telephony, and new service offerings, such as bundled flat-rate packages, have eroded these distinctions. Four suggested common themes for reform have emerged from the record developed in the Commission’s 2001 Intercarrier Compensation NPRM. First, any approach should encourage the development of efficient competition and the efficient use of and investment in telecommunications networks. Second, any approach must preserve universal service support, which ensures affordable rates for consumers living in rural and high-cost areas. Any proposal that would result in significant reductions in intercarrier payments should include a proposal to address the universal service implications of such reductions. Third, any approach must be technologically and competitively neutral. Given the rapid changes in telecommunications technology, new rules must accommodate continuing change in the marketplace, provide regulatory certainty and not impede novel technology. Finally, an approach that requires minimal regulatory intervention and enforcement is consistent with the competitive deregulatory environment of the 1996 Telecommunications Act. Proposals that rely on negotiated agreements between carriers might be preferable to regimes requiring detailed rules and regulations. The Commission is seeking comment on seven comprehensive reform proposals submitted by the industry and others in the rulemaking. Among the questions the Commission will examine is the effect any change will have on consumers and the universal service fund, which helps provide affordable service for rural and low income Americans. The Commission said it would be “particularly receptive” to any plan that offers expanded choices and lower rates to rural consumers. Intercarrier Compensation Forum (ICF). The group represents a diverse group of nine carriers. The plan would reduce most per-minute termination rates from existing levels to zero over a six-year period. Expanded Portland Group (EPG). The group is comprised of small and mid-sized rural LECs. Its two-phase plan would eventually convert per-minute intercarrier charges to capacity-based charges. Alliance for Rational Intercarrier Compensation (ARIC). ARIC represents small rural providers serving high-cost areas. Its Fair Affordable Comprehensive Telecom Solution (FACTs) plan would unify per-minute rates at a level based on a carrier’s embedded costs. Cost-Based Intercarrier Compensation Coalition (CBICC). The coalition represents competitive local exchange carriers, or CLECs. The plan would create a cost-based termination rate in each geographic area for all types of traffic. Home Telephone Company and PBT Telecom (Home/PBT). Home and PBT are rural local exchange carriers. The plan would replace the current regimes with connection-based intercarrier charges. Western Wireless. Western Wireless is a wireless carrier that receives universal service support in 14 states. Its plan would reduce intercarrier charges in equal steps over four years to bill-and-keep. NASUCA. NASUCA is the National Association of State Utility Consumer Advocates. NASUCA’s plan would reduce certain intercarrier rate levels over a five-year period. Action by the Commission, February 10, 2005, by Further Notice of Proposed Rulemaking, (FCC 05-33). Chairman Powell, Commissioners Abernathy, Copps, Martin and Adelstein, with separate statements issued by Chairman Powell, Commissioners Abernathy, Copps, and Adelstein. Wireline Competition Bureau Staff Contact: Victoria Goldberg – (202) 418-1520; victoria.goldberg@fcc.gov. News about the Federal Communications Commission can also be found on the Commission’s web site www.fcc.gov. WASHINGTON, D.C.—Today, the Federal Communications Commission (FCC or Commission) proposed to eliminate unnecessary regulatory restrictions in the 900 MHz spectrum band. The Commission’s proposal would allow more flexible use of “white space” in the 900 MHz band and allow users in the band to respond to evolving market demands. Specifically, the FCC proposed amendments to Part 90 of its rules to facilitate more flexible use of the 199 channels allocated to the Business and Industrial Land Transportation (B/ILT) Pools in the 896-901/935-940 MHz (900 MHz) bands. The Commission’s proposal addresses a number of licensing, operational and technical issues, such as the appropriate band plan, the rights and obligations of incumbent site-based licensees, and competitive bidding procedures for new licenses in the 900 MHz band. The Commission proposed that the available spectrum in the 900 MHz band be licensed using a geographic licensing scheme. The Commission proposed to license the channels in 19 blocks of 10 contiguous channels each, and one block of 9 contiguous channels. The Commission stated that this band plan would provide the flexibility necessary to construct systems responsive to changing market demands. Consistent with the recommendations of the FCC’s Spectrum Policy Task Force, the Commission’s proposal would give new license holders in the 900 MHz band the flexibility to provide any fixed or mobile service pursuant to the allocation for this spectrum, which includes commercial mobile radio services (CMRS). The Commission stated that the proposal builds upon the flexibility afforded Private Land Mobile Radio Service license holders in the 900 MHz band when the Commission consolidated the Business and Industrial/Land Transportation (B/ILT) license categories, which allowed more 900 MHz licenses to be used for commercial services. The Commission recognized that any new 900 MHz licensees should provide at least the same interference protection to incumbent 900 MHz B/ILT licensees as is provided to incumbents by 900 MHz Specialized Mobile Radio licensees. Given that some licensees may be faced with the same interference problems that necessitated the remedies adopted in the 800 MHz interference proceeding, the Commission asked for comment on whether additional interference protection requirements are necessary and, if so, what those protections should be. The Commission concluded that, because of the fundamental changes it proposed for the 900 MHz band, the current freeze on the processing of new 900 MHz license applications should be maintained. The Commission decided, however, that it would consider requests for waiver of the application freeze on a case-by-case basis and that incumbents should continue to be permitted to file modification applications. Action by the Commission on February 10, 2005, by Notice of Proposed Rulemaking (FCC 05- 31). Chairman Powell, Commissioners Abernathy, Copps, Martin, and Adelstein. Wireless Telecommunications Bureau contacts: Michael Connelly at (202) 418-0132. 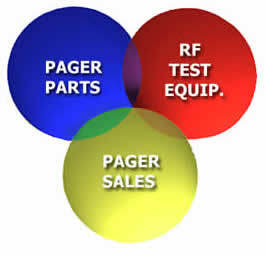 Paging Field Engineer Needed in Boston Area for growing Paging Company. Must be experienced with maintenance & installation of paging system infrastructure; transmitters, antenna, terminals, servers, routers & interconnecting circuits. Must be willing to provide excellent customer service, be on call and work independently for extended periods of time. According to Harbor Research, the number of wireless devices using the low-power wireless networking technology ZigBee is expected to grow from 40,000 in 2004 to 400,000 by the end of 2005. After two years of tinkering, ZigBee looks like it is ready for primetime. The technology promises to extend wireless data access to a number of applications and verticals, including smart home automation, remote monitoring, telematics, and even remote keyless entry. More than 100 companies have jumped on the ZigBee bandwagon, including Honeywell, Motorola, and Samsung, and Philips. Skype's software, which needs to be used with a high-speed internet connection, enables users to make free phone calls over the internet. It has already attracted 26 million registered users since it was launched 18 months ago. The VoIP software firm Skype has reached an agreement with U.S. telecom firm Motorola that should help it to increase its penetration of the wireless market. The Luxembourg company plans to load Skype software onto some Motorola Wi-Fi or third-generation mobile phones in the future. This would enable mobile subscribers to make free national calls and cheap international calls by using the internet to carry calls, rather than standard mobile networks. Motorola and Skype will first of all co-market products such as Bluetooth, or wireless, equipment, before introducing handsets with pre-installed software. The company said this week it was currently attracting 140,000 new registered users per day. Many analysts believe that in the future mobile handsets will use a variety of ways to connect to the internet, including third generation mobile, Wi-Fi and WiMAX technology. This will make it more difficult for the mobile network operators, such as Vodafone and O2, to charge for basic mobile phone calls. Skype, which is the most successful VoIP software firm in Europe, completed its last fundraising more than a year ago. It said this week that it would not need more cash in the near future, and was not planning an initial public offering. I hope you all have a good weekend. See you next week!